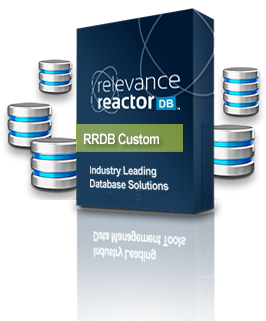 Relevance Reactor DB (RRDB) is a leader when it comes to providing fully hosted database solutions to organizations involved in consumer and/or business data-driven marketing. Having a powerful centralized database to house all your valuable data, is a must in today’s digital marketing world. Being able to quickly access and query your data using endless filters and targeted data selects, is also a must to produce results. With your data at your fingertips, it is quick and easy to select and export to any of your partners, clients, 3rd party platforms or services. Your high-performance RRDB can handle any type or amount of data, in any format with any number of fields. Utilizing an RRDB is simple and does not require a technical understanding or back ground in database administration. All RRDB solutions include support from our data centralization and integration specialists. Clients of RRDB not only save time and money, but they also benefit greatly from enhanced data insight, data workability, data flow automation, reporting and much, much more. Leave the technical, development, network and infrastructure aspects with us and focus on other important areas of your business, most importantly, getting the most out of your data. Relevance Reactor DB offers two great solutions to choose from. These options include RRDB – Self-Serve and RRDB – Custom. 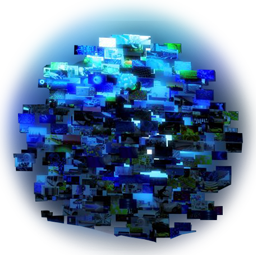 Our Database solutions are fully hosted and utilize data compression features to provide cost-effective data storage, warehousing and archiving. RRDB Self-Serve – A self-serve database solution for companies looking for a simple streamlined interface to centralize and handle all their consumer email or phone based records. With online registration and instant access, clients can easily set up their account and start utilizing their database in no time. Self-Serve doesn’t mean you are on your own. One of our data centralization and integration specialists will be assigned to your RRDB account. We help in all areas, from assisting with setting up data sources and feeds to queries, exports and everything in between. RRDB Self-Serve clients can upgrade to RRDB Custom at any-time. RRDB Custom –A database solution for companies looking to take their database(s) capabilities and functionality to where it needs to be. To truley do what you need to with your data. RRDB Custom can automate your dataflow process, eliminate human error and take the guesswork out of managing your data. All set-up and customizations are done by RRDB. Typical turn-around to start utilizing RRDB Custom is roughly 1 work week. We look forward to discussing your database needs and exploring the possibilites.